Any cat owner will tell you that their cat expects to be treated like royalty and only wants the best. 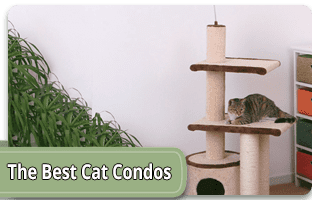 With everything your cat gives you, it only makes sense that you would provide them with the best of the best of everything – and if that helps you too – perfect! You might have guessed it already – we’re talking cat toilet training kits here, a list of the best, that is. (We took buyer reviews, durability, the different levels of household budgets, and the overall quality of each product into account before selecting it). Read on to find the best cat toilet training kit for your furry friend! The Hiltow Cat Toilet Training Kit comes with a standard white seat that will fit most toilets, with colorful plastic inserts to make the hole look less intimidating. This easy, multi-step kit also comes with an instruction booklet for easy training. It is simple to use, and this cat toilet training kit is made for small, medium, and large cats. Its versatility is increased by the plastic inserts which ensure that any athletic level cats can use it. This cat toilet training system is designed with a hard plastic insert that fits inside the toilet seat. 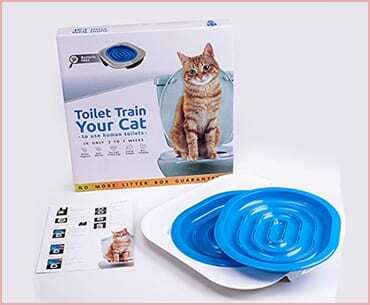 It is a durable but flexible option for training your cat to use the toilet over a litter box. This product is a more expensive option, but it is marketed to small, medium, and large cats and kittens alike. 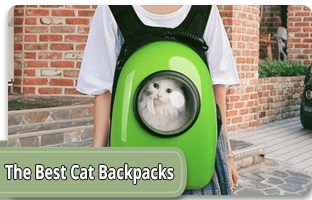 It features a smaller hole, so your cat won’t feel as anxious using it the first few times. The Litter Kwitter CatToilet is an option for anyone who has an extra stubborn cat who is resistant to most cat toilet training kits. It is made of durable plastic, and it has a small hole, so your cat won’t be intimidated to use it. This kit is perfect for small, medium, or large cats. Its holes are small, so even the most skittish cat can use it. 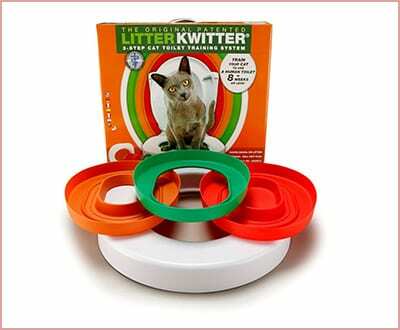 Another product from Litter Kwitter, this one was developed by animal behaviorists to be as easy to train as possible. If you hate cleaning your cat’s litter box, this one is for you. This kit comes with tips and instructions cards, as well as three training seats with a DVD to follow. 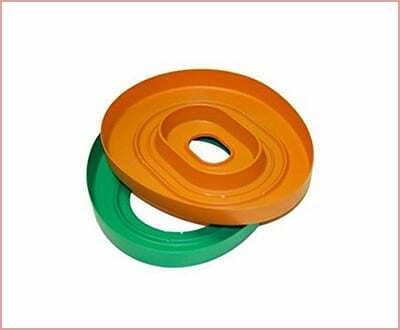 There are also three plastic inserts of varying sizes that claim to fit any toilet seat, for easy use. This training kit is ideal for any small, medium, or large cat that isn’t afraid of learning new things, and won’t have a problem getting up onto the toilet seat. Older cats may take longer to train, and be skittish about jumping up. 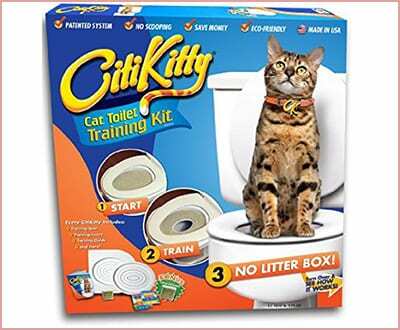 The CitiKitty toilet training kit is designed to remove the messy cat litter problem from any home. The revolutionary training kit comes with a guide and tips to get your kitty to use it, along with a training seat and catnip insert to get your cat more excited. 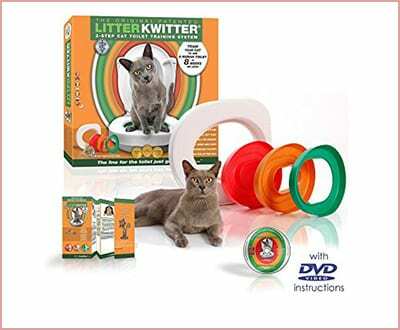 This training kit is ideal for older cats, medium cats, or kittens over three months, and a multi-cat household. 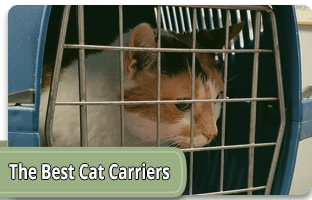 We wish you good luck and you should find any of the products on this list of best cat toilet training kit options useful. If you arm yourself with a little patience and follow the steps provided by the kit, then you should be able to wave goodbye to unpleasant surprises relatively fast. Your cat of any size or age will be toilet-trained in no time! If we’ve missed any cat toilet training kit you feel should be included here, leave us a comment down below. 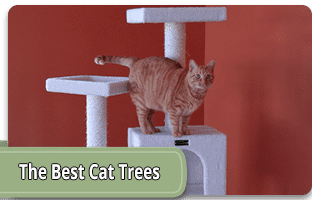 There is one cat toilet system that you did not mention, that is much better than ALL of these and cats are much more successful at being trained with it. It’s Kitty’s Loo. 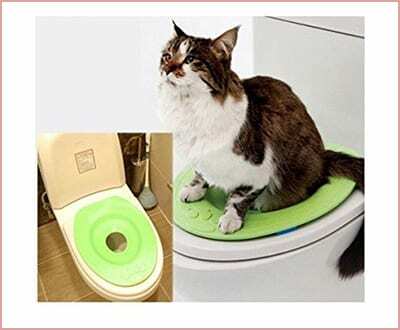 It’s the Newest and Best Cat Toilet Seat! It sells on Amazon and the website. You might want to update this review. Good review, but just wanted to inform you about Kitty’s Loo. Thank you for your recommendation. Our writers have clear criteria for selecting a certain product (quality-price ratio, user reviews, ratings, and more), so we’ll have to look into this issue and see if the product you recommend matches our standards. Thank you again for your interest. We have tried kitty loo for our cat and it did not work. Poor guy fell right through the mesh and he is a medium size cat that was 1 years old and not fully grown at the time. Had to transiently switch him back to litter box before trying again with litter kwitter which worked quite well. Let me know if any of them fit and what you think of them, and good luck in your search (I hope I helped)!